An action packed historical mystery set at a Nebraska territory Pony Express Station. 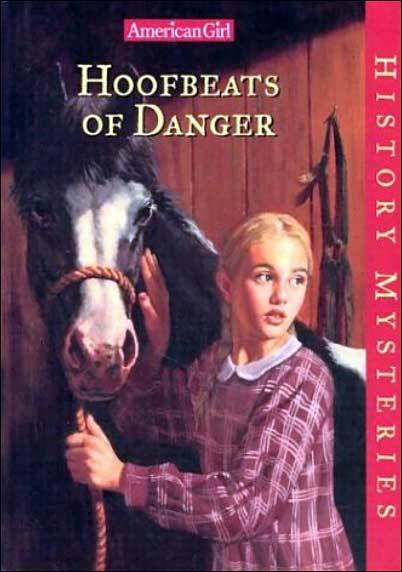 Eleven year old Annie, daughter of the stationmaster, suspects her favorite pony has been poisoned, so she sets out to solve the mystery--with the help of one of the Pony Express riders Bill Cody and her native American friend Redbird. Add this pony express History Mystery to your series collection! This will be a good writing activity and will be an effective way to check reading and comprehension. THIS IS A HISTORICAL FICTION CHAPTER BOOK. We don't have sample pages of the main text of the book. However... below are some pages from the BACK SECTION that is part of all History Mysteries books. This section provides more details about the historical period, in this case the history of the pony express. By the time your students have completed the book, they will naturally be curious to know more about this unique period in American history.